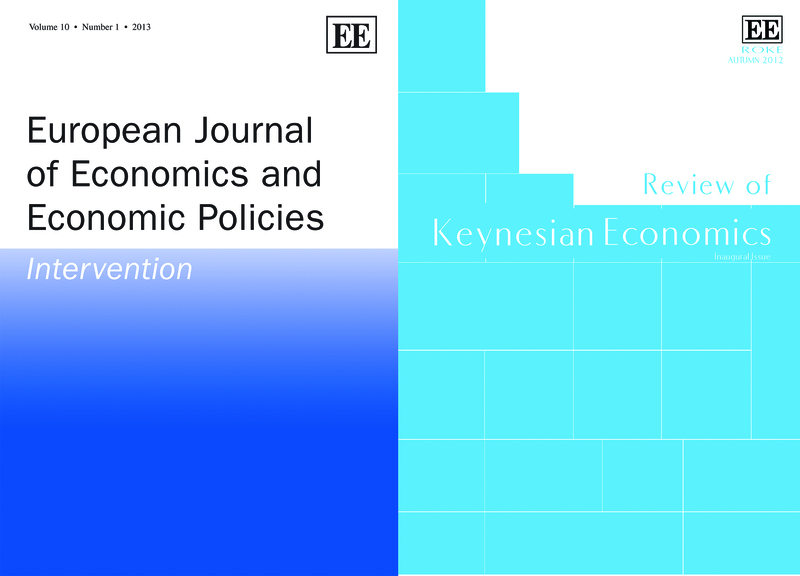 In this article, 15 editors give their advice on how to get your paper published in an economics journal. By Valentin Cojanu, Paul Davidson, Alicia Giron, John Harvey, Eckhard Hein, Heinz D. Kurtz, Jack Reardon, Steve Pressman, Wolfram Elsner, Louis-Philippe Rochon, Allesandro Roncagalia, Barkley Rosser, Neri Salvadori, Malcolm Sawyer and Mario Seccareccia. This short note is aimed at graduate students and faculty members alike who are looking to get their papers published in academic journals, a crucial exercise for the job market, but also in getting tenure and promotion. Our advice is based on our collective experience as editors with more than 70 years of experience, but also on the many reviews we see on a daily basis. These reviews contain valuable information and surprisingly, reviewers often mention the same reasons for giving a paper a negative review or even rejection. Of course, while the information contained herein won’t guarantee acceptance, we think these tips will increase your chances considerably. As editors, we enjoy what we do, we enjoy reading new submissions, and working with authors. So here is our advice, in no particular order. Please read the journal guidelines for submission, which are usually explicitly stated on the web page. Make sure your paper is no longer than the suggested length. Most journals aim for papers between 7,500 and 8,500 words. The reason is that publishers impose strict limits on the number of pages in each journal issue, so the longer the paper, the fewer articles we can place within a single issue. Some journals may accept longer papers under specific circumstances (such as literature reviews for instance), but to be on the safe side, don’t send in papers longer than what is suggested. Also, some journals may have a minimum- length requirement. Papers too short may get desk rejected. Lastly, a few journals have no limit per se, so it is always important to familiarize yourself with the specifics of the journal where you are sending your paper. If your paper contains graphs and tables, five things are important to remember. First, make sure they are your own; or if you took them from elsewhere, you obtained the permission for reproduction and the proper reference is given. Second, for both tables and graphs, please label them properly by indicating precisely in what units the variables being depicted are measured. Third, unless the journal is an online journal only, the vast majority of journals are published in black and white and, thus, be sure not to submit multi-coloured graphs. Fourth, it is sometimes useful for reviewers to have knowledge of the actual data used to generate the graphs or tables. Our advice is to attach also an accompanying file containing the actual data set. Fifth, remember that each table and graph takes up space. In general, the publisher assumes that they take up about 300 words of space, each. So make sure you add that to your calculations of word-length. If your paper has 10 tables or graphs, that comes up to about 3,000 words of space, and leaves you only with about 4,500 words. Often, papers are either poorly written or the English is not sufficiently polished. This may be the case if your first language is not English and you are submitting your paper to an English journal (and even when English is your mother tongue). Although as editors we welcome ideas from across the globe, unfortunately, poorly written papers, will almost always receive a bad review from the referees, and in some cases, a desk reject. It is not the responsibility of the editors or the proofreaders of the journal to correct bad writing. Some editors will offer some editing advice, but it is really your responsibility to ensure the quality of the English. Please, get your paper re-read by someone who has a good command of the English language. Also, keep in mind that if you need help with your writing, there are professional editors who do this for a living. It is a good investment for those needing help with the English. We recommend reading The Elements of Style by William Strunk and E.B. White; it is a great little with book with lots of useful advice. If your paper is technical to some degree, please make sure you revise your math equations carefully. In addition to the two reviews, some journals may get your paper read by a third reviewer whose principal task is to peruse the math. Make sure that the list of references contains all works referred to in the text and that you cite all works that are pertinent. You must not give the impression of being unaware of the relevant literature and perhaps even of missing out some of its most important pieces. And make sure that you obey the criteria of good academic behaviour by not plagiarizing, etc. Plagiarizing is a serious offence. Obey criteria of good academic behavior, and don’t plagiarize. The consequences go well beyond publication. But there is another type of plagiarizing, which is often not discussed but is receiving increasing attention: self-plagiarizing. You must never copy and paste from your own articles. You should also reference yourself when presenting an important argument, if it has been made elsewhere. Note that some editors could well report plagiarism to academic authorities. It is very important that you never submit your paper to more than one journal at a time. If found out, this can have severe consequences, such as being banned from submitting to the journals in question for a period of time. Editors invest time and energy in managing the review process. So you must wait for the decision from one journal before ending it to another. Also, be aware of what you are signing up to when making on-line submission, e.g. guaranteeing own work, not submitted elsewhere. The first thing editors and referees read is the abstract of your paper. Some authors think that the abstract is something unimportant and therefore don’t invest much time and attention in its composition. They are quite wrong. The abstract is representative of your work, and if the former is shabby it speaks badly about the latter. In the abstract emphasize in particular the importance of the problem under consideration and the novelty and innovativeness of your paper. Don’t forget to add key words. This is important for several reasons; chief among these is that with on-line submissions, the referee search is done through key words. This may come as a shock, but some editors receive papers with unfinished sentences and quotes, and even with personal notes that the author inserted, intending to get to them later. The reviewers will write back that the paper is unfinished and should never have been submitted. So, once again, take the time to re-read your paper carefully before submitting it to a journal. Don’t expect editors and referees to do your work for you. And remember the opportunity cost for editors is high and you have one chance to impress! Most journals have a double-blind review process. This means the authors don’t know who is refereeing their paper, but referees do not know who the author is. To keep the anonymity, make sure your paper is free of any possible ways of identifying who you are. If the paper was presented at a conference, please remove the information. Also, remove any acknowledgement. This information can all be put back once the paper is accepted. Your introduction should make your intent clear. Often, reviewers will indicate how the introduction has little to do with the rest of the paper. And it should stress what is new compared to the existing literature on the problem under consideration. Also try to keep your introduction to two or three simple, succinct paragraphs. Remember an introduction is an introduction—you can elaborate in the main body. Remember that an academic paper is an argument; your goal is to convince the reader. Be very conscious about this. Reviewers are very busy, so the easier you make it for them to read your paper and understand the arguments you are making, the better. State the thesis clearly in the introduction to give the reader an idea of how you are going to support it, and stick to it. Avoid tangents: no matter how interesting they may appear to you, tangents are tangents and serve to confuse your audience. Define concepts clearly and build careful transitions that leave the reader enthusiastic for the next step, not discouraged by the fact that they are not longer following your argument. You are not writing this paper for yourself, it’s for the readers (and referees and editors!). A number of websites are dedicated to how to write academic papers, and more specifically on how to write them for economics. Google “How to write an academic paper in economics” to find a number of sites. Develop your argument in a straightforward way. Don’t meander around and give the impression of not knowing what your task is. Avoid redundancies, which quickly tend to bore referees. It is rare that a paper will get accepted “as is”, that is with no modifications. It is also common for papers to be rejected. All of us as editors have had papers rejected, so we know what it is like. In general most papers will require some changes demanded either by the reviewers or the editors. Editors then can still reject the paper, or ask for a “rewrite and resubmit” or an R&R. This usually means that the editor sees potential in the paper, but that it is not quite ready for publication. An R&R means that potentially, the paper could be published eventually, and that the editor is interested in working with you to get it published. While it is not a guarantee for publication, it is nonetheless one important big step closer. It is in your best interest to rework the paper and follow the suggestions made by the reviewers. In addition, the editor may give you some extra advice: it is strongly suggested that you follow this advice. The Editor is trying to help you; and keep in mind that we like what we do—we wouldn’t be doing it otherwise! If you choose to rewrite the paper, send along a letter with the revised version indicating point by point how you dealt with the reviewers’ comments. This will help the reviewers considerably in assessing the revised version. Of course, if you disagree with some comments made by the reviewer, this is fine, but indicate in the letter why you disagree, and how you dealt with it in the paper. Maybe you need to strengthen the argument. If the Editor gives you an answer, don’t argue with him/her. Yes, the review process is not the best and often mistakes are made. Editors have to rely on reviewers who have more expertise in the sub-field of the paper than the editors. If you believe a serious error was made by the reviewer, it can be worth pointing this out to editor. But before doing so, it would be worth consulting others to see whether they agree with you. If you raise the issue with the editor, do so in a polite way, don’t be aggressive, and don’t threaten to never send another paper again. In the end, accept the final decision that is given. Keep in mind that it is often difficult for an editor to make such decisions, especially when dealing with friends and colleagues. Editors must place the interest of the journal above all else. Once submitted, do not contact the editor frequently in anticipation of referee decisions. Journals rely essentially on volunteer work and the process may sometimes take several months. On the other hand, if you have not gotten feedback after six months, it would be appropriate to ask if there are any developments, since your paper may well have fallen through the cracks. Yes, this can happen. Finally, don’t try putting pressure on the editor by saying ‘my tenure decision depends on my paper being accepted’. It is not the editor’s job to ensure you get tenure. Finally, don’t hesitate to ask the editor for some advice, even before you submit the paper, and especially if you don’t understand the reviews. Often, reviewers will contradict each other, and the editor may offer you guidance in what to focus on. The editor will be more than happy to help you interpret the reviews. Offer to serve as a referee before you submit to a journal: finding good referees is not easy. And if you are sent an article to review, do a good job and do it by the deadline given to you. Of course, this won’t guarantee a future paper of yours will be accepted, but you always want to be on the good side of the editor. Refereeing well is one way to do this, and in many cases this is how we nominate people to our editorial boards. This article first appeared in Editors’ Notes, a publication spearheaded and compiled by Louis-Philippe Rochon, founding co-editor of ROKE. Louis-Phillippe would like to offer enormous thanks to the contributors for not only their submissions, but also for their great enthusiasm for this project; Edward Elgar Publishing would like to thank Louis-Phillippe for his permission to republish this article.